Since our first haunt tour in 2004 the Midwest Haunters Convention has spotlighted many of the best haunts in the Midwest. We are very excited to announce the 2017 MHC Pre-Convention Haunted House Bus Tour line-up! 15 SEATS LEFT ON THE BUS TOUR!!! EMAIL [email protected] IF YOU WANT A TICKET! Admission to 9 locations, with a total of 10 attractions. Two attractions with lights-on tours, 8 attractions will be dark and staffed with performers. PLEASE NOTE CHECK IN FOR THE TOUR WILL OPEN WEDNESDAY AT 8:00AM. THIS WILL BE LOCATED IN THE HYATT FOYER IN FRONT OF UNION ROOMS A&B. BUSES LOAD AT 9AM FROM THE COLUMBUS CONVENTION CENTER. THEY WILL DEPART AT 9:30AM. BUSES RETURN THE FOLLOWING DAY BETWEEN 11:30PM-12:30AM. ( PLEASE NOTE ALL TIMES ARE APPROXIMATE). * If you are an exhibitor wanting to sign up for the bus tour please contact Jen Braverman at [email protected] to sign up! PLEASE NOTE: The tour price DOES NOT include overnight hotel accommodations; you’ll need to reserve your own room(s) at the Southern Indiana Horseshoe Casino Hotel (about $79 for room, resort fee & taxes) Wednesday night. You can sleep up to 4 guests per room, with 2 queen size beds in a spacious deluxe room. Includes a free breakfast buffet Thursday morning. Luggage Storage For 2-Day Bus Tour (Hyatt Hotel Guests ONLY) For $10 a bag*, Hyatt Hotel guests may to take their bags to the Bell desk in the lobby for luggage storage overnight. When you’re ready to retrieve your bag(s), please go to the Bell desk in the lobby. *The Hyatt will make arrangements for these charges to be billed to your guest room. The Dent Schoolhouse (Cincinnati, OH), a rare lights on tour of this historic detailed top haunt. Waverly Hills Sanatorium (Louisville, KY), experience a one hour lights on tour at one of the most (actually, for real) haunted places on earth. Grim Trails Haunted Attractions (Louisville, KY), nearly a ¾ mile of frights through the woods and this unique haunt is awesome. The Haunted Hotel (Louisville, KY), 26 years of horror, makes this classic haunt a consistently rated top attraction in the country.Please note This Haunt is an Extreme Touch Haunt! The 7th Street Haunt (Louisville, KY), one of the biggest attractions in Kentucky with an old school approach to scaring. The Devil’s Attic (Louisville, KY), great detail and creative scares at a must see attraction in Louisville. Wicked World Scaregrounds (Lexington, KY), a Lexington favorite offering 10 years of fear with two fantastic attractions; Nightmare Haunted House and Quarantine. Face Your Fears Hotel of Terror (Springfield, OH), tour this dilapidated hotel and experience bone-chilling scares! Bus selection process, if you have a bus preference, please send an email to [email protected]. We have 3 buses going Please note your first and second bus preference (along with the names of others in your group) and we will do our best to make those arrangements (on a first come, first served basis). Bus 2 is the party bus and is more than half full with those of you who have already expressed interest in being on that bus. If you prefer to be in a more relaxing atmosphere select bus 1 or 3. Both days we have scheduled lunch stops at locations with a cluster of fast food and quick service dining options. We’ll park the buses and you’ll walk to your choice of a restaurant. 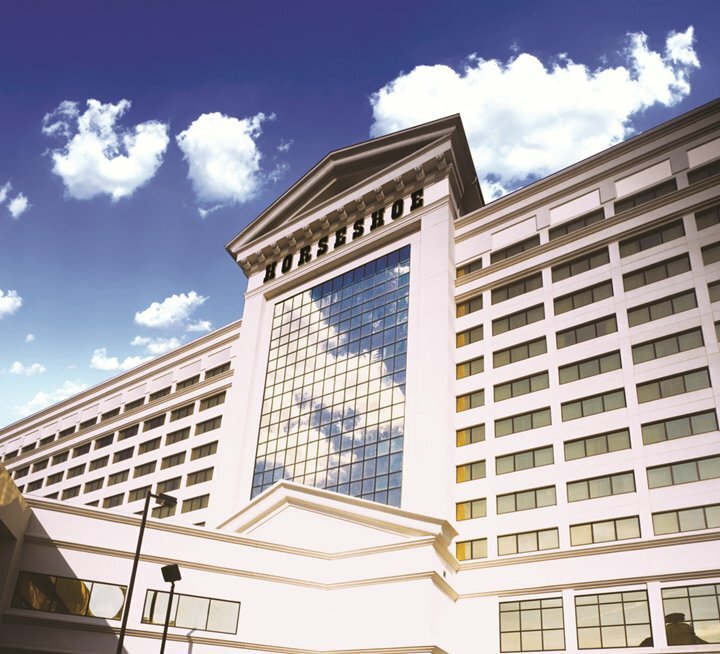 Wednesday, we’ll be at the Southern Indiana Horseshoe Casino Hotel during dinner time and they have seven restaurants on site to choose from. Thursday, we’ll stop at Jungle Jim’s and they have 6 restaurants and TONS of international and unique foods; including over 15,000 labels of wines and 4,000 different beers and a state liquor store. Crackers and cheese work for dinner too, right? You are welcome to bring a cooler on the bus with your own beverages and meals/snacks for the trip. 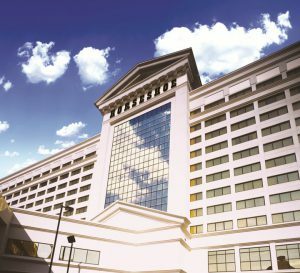 Southern Indiana Horseshoe Casino Hotel – Newly renovated Hotel and Casino, offering 7 restaurants plus Slots, Poker, Video Poker, Table Games, and Gaming. Single King Room – nonsmoking room is $65.00. Book now click here! Double Queen Room – nonsmoking is $75.00. Book now click here! Or call to book at 866-766-2671 and use the group code L06MIDW. You need to make your own hotel reservations. Please do NOT wait to do it on site since we can not guarantee there will be hotel rooms available.